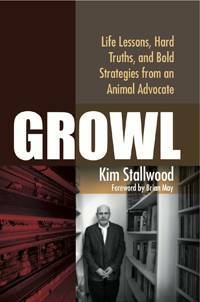 Kim Stallwood is an independent scholar and author on animal rights. He is currently the European Director of Animals and Society Institute and Executive Director of Minding Animals International. His client organisations include CIWF, GREY2K USA Worldwide, and League Against Cruel Sports. He has been a vegan since 1976. He holds dual citizenship in the U.K. and U.S., and lives in Hastings, U.K.